Do you know what an endangered species is and why animals become endangered? 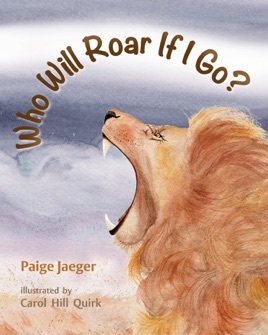 Who Will Roar If I Go? will introduce you to thirteen animals around the world who have one thing in common: they need your help. 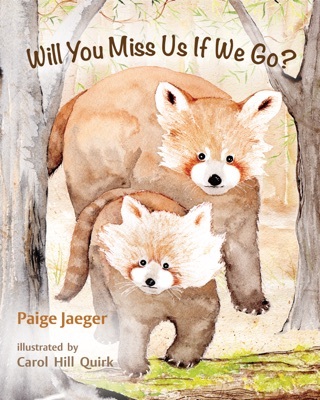 With beautiful watercolor illustrations and rhyming verse, each animal is sharing a message with you that you will remember long after reading. "The King of the Beasts - that's my claim to fame. I've got a big crown of hair that's called a mane." You will meet many animals in Africa: lion, rhinoceros, and gorilla all have something to tell you. "With black-patchy eyes, I'm chubby and cute. I'm a lazy bear who chews bamboo shoots." "We need you to care and let us live free. Or there will be no more wild animals to see." Who Will Roar If I Go? will introduce the basics of endangered species to young children and open up conversations of what we can all do to help. Will you roar before they go? Will You Miss Us If We Go?